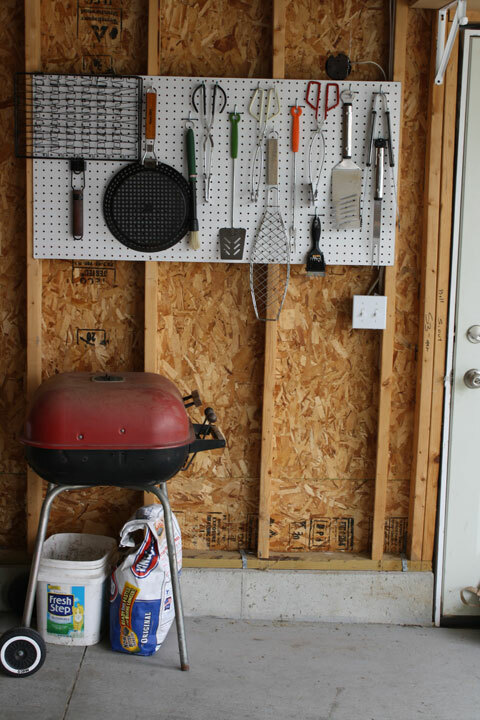 The space right above where our grill goes wasn’t being used much, the peg board fit well and it was so. 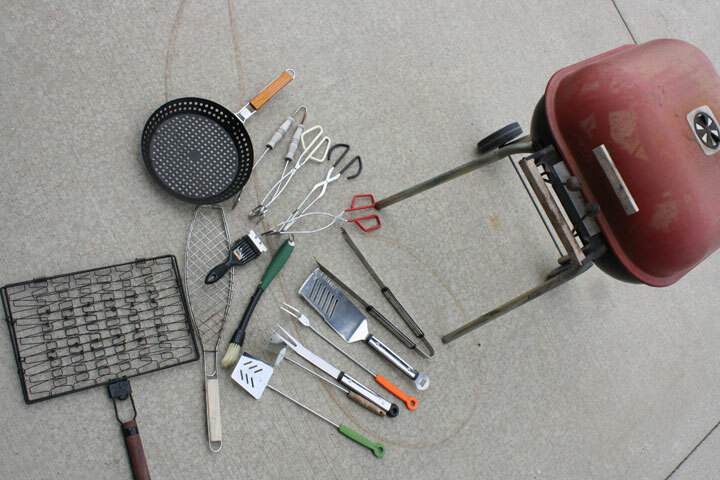 Welcome Grill Center for the Gar. 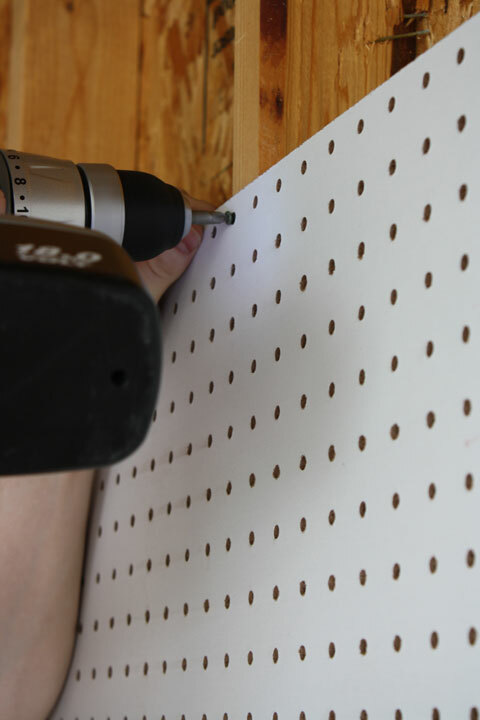 Place pegboard up on the wall, lining up holes centered on the studs and use the level to make sure you’re holding it with great straightness. Hopefully you’ll have an extra pair of hands to do said task. 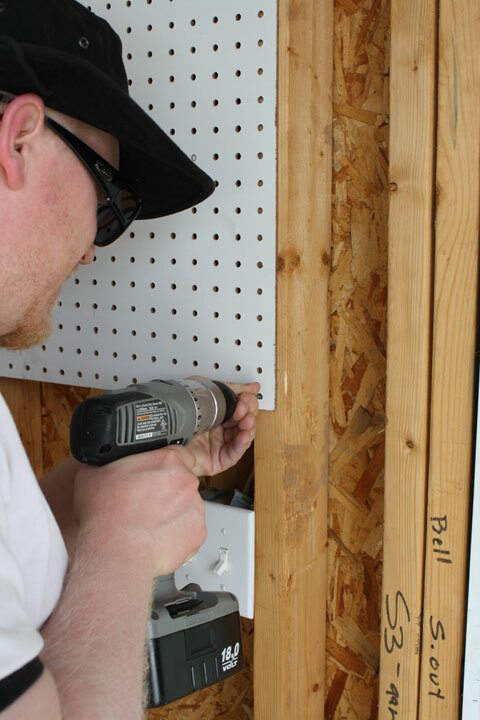 Once leveled, have one person hold pegboard up while the other screws in each corner and a couple on the sides for good measure. For most people 6 screws would be more than enough but my dear sweet husband likes to make sure it’ll survive a nuclear war, so we probably did 8-10. Love you honey. 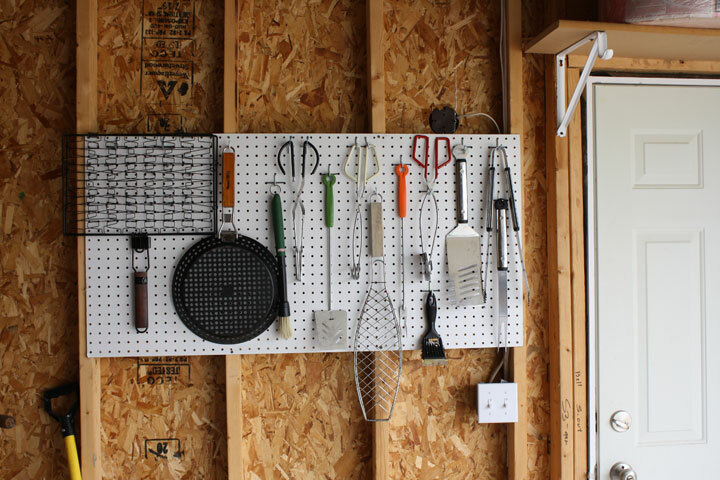 Here’s all that we’re hoping to hang from our newest organizational friend: lots of flippers, flappers, brushes, baskets, pokers and proders. 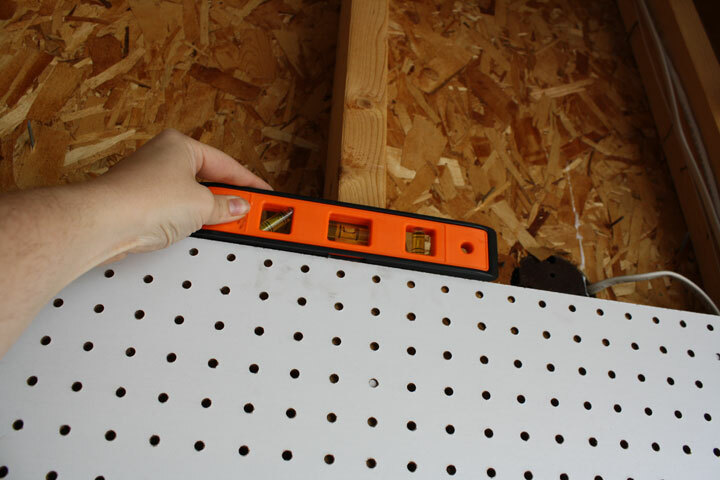 Open up that box of pegboard hooks and check out the contents. 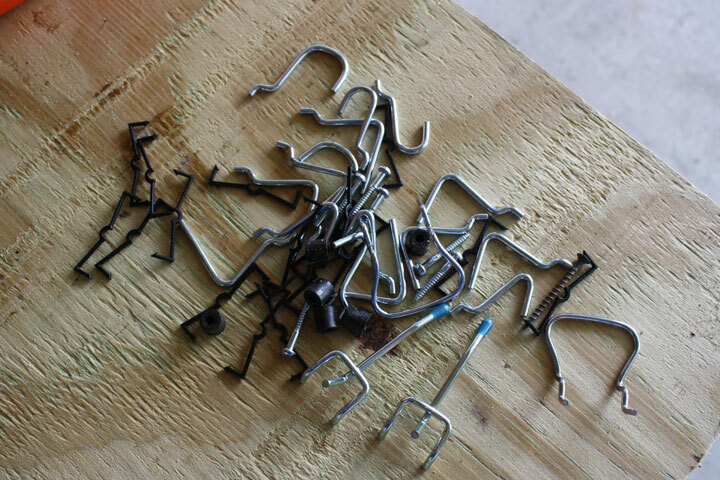 There are obvious hooks that go right into the holes, some are heavier duty, some allow you to stick things through an opening to hang rather than hang right on the hook. Then there are these black plastic things. 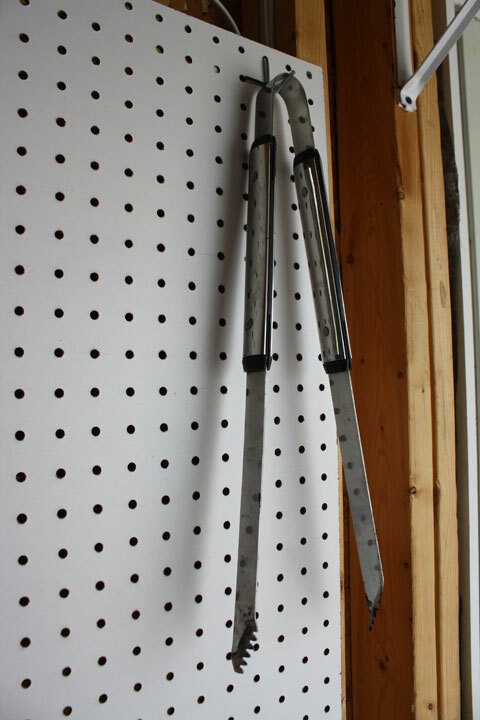 Never had a pegboard before so theses were new to me. 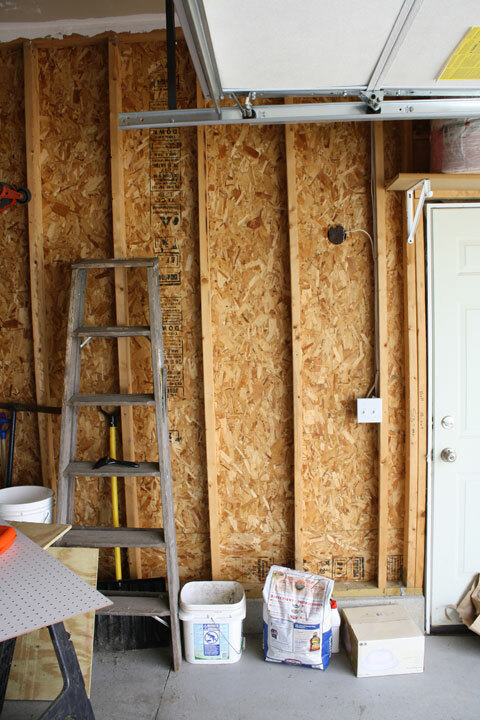 After sticking up a hook and hanging something from it, it felt really unstable and that everything on the board would come crashing down. Enter in black plastic things. They stick on either side of the hook to hold it in place. Who would have thunk! 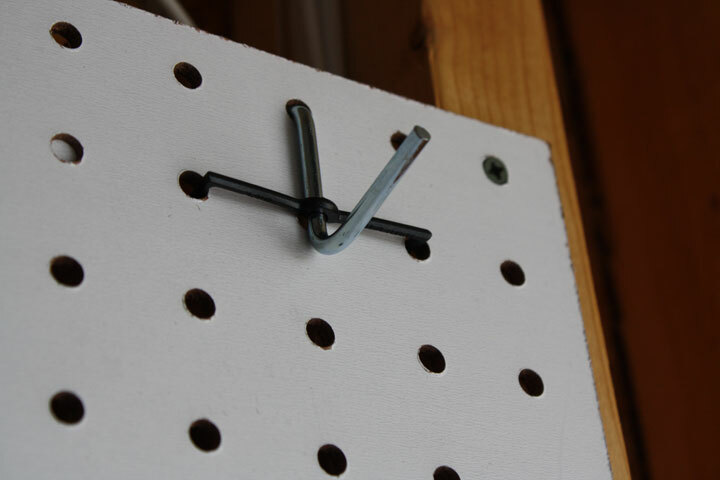 These worked great except the 3 holes on and around the stud didn’t allow us to use that space well. Oh well, we did some rearranging and it all worked out. 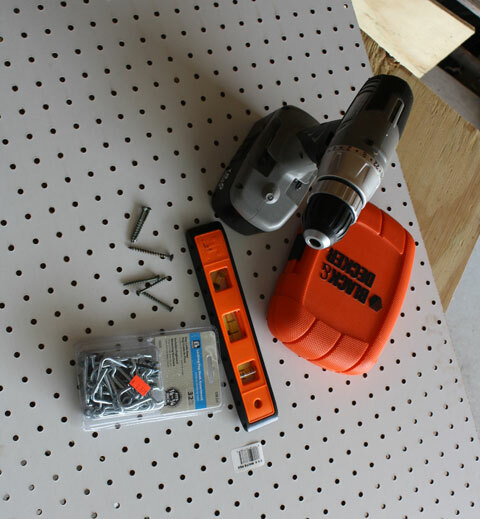 And now you have a wonderful, doesn’t take up my under the counter cabinet space anymore Grill Peg Board! 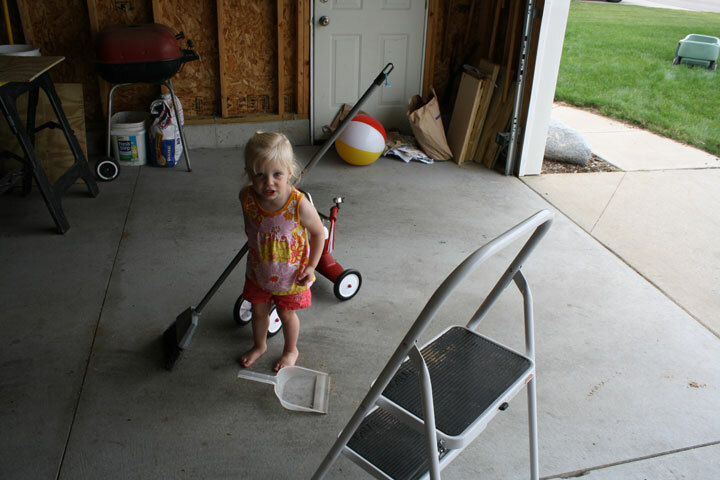 Here comes the clean up crew!